"The sky is falling! The sky is falling!" That sounds just like what all the media people are telling us these days. "Recession! Recession!" Calm down, Chicken Little! The sky is not falling. Everything will be okay. 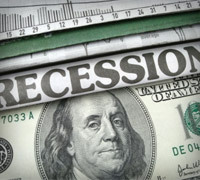 By definition, a recession doesn't happen until the Gross Domestic Product (GDP) numbers—how you measure the number of goods made and sold in the USA—goes down for six consecutive months. Even though the economy has slowed, it's no reason to completely freak out and think the world is going to collapse. Don't let the talking heads on the nightly news make you emotional and cause you to freak out about the economy. If you let your emotions dictate your actions, you're going to be broke your whole life. No one eagerly anticipates negative, unexpected events. But guess what? They're going to happen. It's just a fact of life. Money magazine says that 78% of us will have a major negative event happen in any given 10-year period of time. This beginning emergency fund will keep life's little Murphies from turning into new debt while you work off the old debt. The principle is to stop everything except minimum payments and focus on one thing at a time. Otherwise, nothing gets accomplished because all your effort is diluted. List your debts in order with the smallest payoff or balance first. Do not be concerned with interest rates or terms unless two debts have similar payoffs, then list the higher interest rate debt first. Paying the little debts off first gives you quick feedback, and you are more likely to stay with the plan. Ask yourself, "Self, what would it take for you to live for three to six months if you lost your income?" Your answer to that question is how much you should save. Remember, this stash of money is not an investment; it is insurance you're paying to yourself, a buffer between you and life. Most importantly, remember one last thing. Your economy is up to you. If you are out of debt and have money in the bank, then the media can talk up a storm about a recession, but you won't feel it. When you have a plan, live on less than you make and save money, you are not in trouble. If you have a paid-for house, who cares if foreclosure rates are up? You are all right. If you have no credit card debt and the plastic companies decide to raise interest rates to 50%, how much will you care? NOT ONE BIT! Take care of your personal money situation, and everything else will take care of itself. There's no time like the present to get started! It's a plan that works every time! 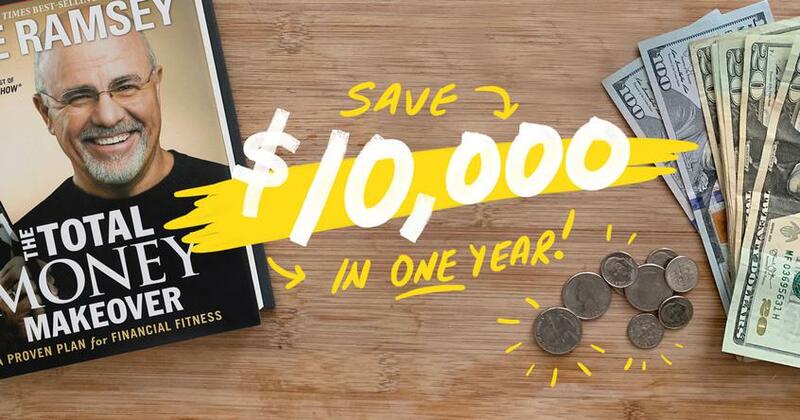 Start your journey today with Dave's bestselling book, The Total Money Makeover. A good, old-fashioned Grandma's rainy day fund will keep you from going into debt when life hits you. Learn how to build one.